Looking at the Dulux colour trends for 2017 as forecast by Bree Leech, their Trend Forecaster, Creative Director, Producer and Stylist we can’t help but marry the different colour palettes with house styles. Entwine, based on the idea of weaving and woven colours and Construct based on architectural periods like brutalism with a focus on materials and form and Sentience the offset to our online lives. Entwine – an eclectic range of rich, warm colours in earthy red and botanical green with unexpected accents. The palette is influenced by global cultures and landscapes from around the world, creating a link between modernity and traditions. The architectural style that comes to mind is Tuscany or Mediterranean which would be a perfect fit to the colourful woven mats from far off lands and mix of rich, warm colours in the interior. Decorative mouldings for this style from the Finishing Touch include corbels that protrude from the beams and are available in a wonderful array of shapes and styles. Construct – Luxury is derived not from frivolity but raw materials, structure and form. This pared back beauty is obtained from rawness in architectural angles, concrete, steel and galvanised finishes. Interiors follow an atmospheric palette of dark blues and greys with accents in platinum, copper and rust. The architectural style is post-modern, with stark, simple lines. 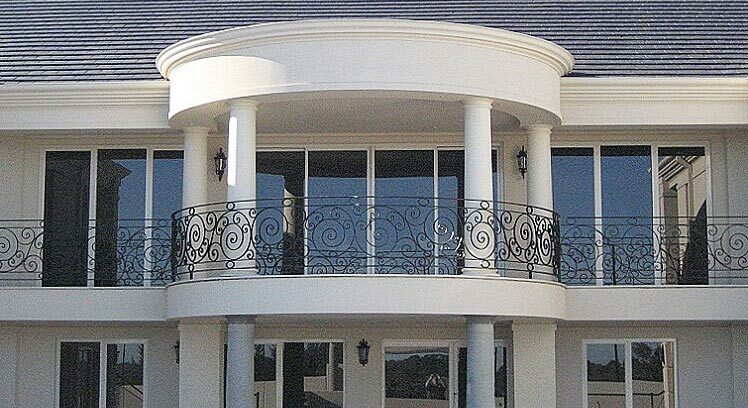 Decorative mouldings accentuate the lines with eave mouldings and flatbands, which can be made to any dimension. Sentience – using textures in interiors to offset the effect of so much screen time in our lives, the lack of feeling crispy paper when reading because now we read ibooks, izines and news online. The continual swishing and swiping on our devices means our eyes are tired and our finger tips are feeling the same flat surface, so when we look up and around us we should be surrounded by interesting textures like woollen knitted rugs, linen bedding, painted exposed brick and when we touch we should be feeling handmade ceramics, unrefined soaps and plants. A colour palette in subtle pastels in washed, earthy tones, soft naturals like earthy pinks, new beige and lichen greens. This would go beautifully in a French provincial style home,styled with the great range of Finishing Touch decorative mouldings specially designed for the French provincial style.